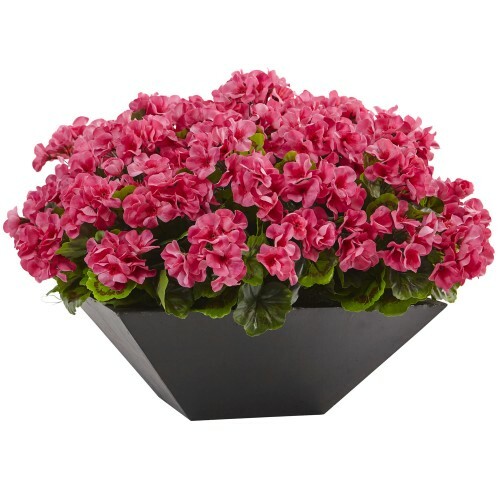 This geranium arrangement is UV resistant so it can be displayed inside or outside with little to no care. Delicate petals are scrunched together to mimic a true geranium plant. The flowers sit atop lush leaves that poke through for subtle pops of green. Comes with a matte black vase for a modern flair. H: 5.25 In. W: 14 In. D: 14 In.